When you're planning a holiday you'll want to make sure everything goes to plan on the day of your departure. Making sure everyone in your party arrives at the airport in good time (with all luggage present and correct) can be incredibly stressful. No need to worry however, as Hayletts' airport transfer service is available to take the hassle out of your holiday! We cater to clients throughout Northamptonshire and beyond. We'll take you to any UK airport. A friendly, professional Hayletts driver will take you and your party to the airport with time to spare. Our 16 seater luxury minibuses have ample space for your luggage. We're here to help; your driver will be more than happy to assist with the loading and unpacking of your belongings. At Hayletts Private Hire Ltd, we're renowned for our prompt, punctual service; we'll make sure you reach your terminal with time to spare, allowing you to relax and start to enjoy your holiday even before you board your flight! After the holiday, when you step off a long flight (perhaps feeling a little jet-lagged) you probably just want to get home for your first brew back in England! Not a problem – we can arrange to collect you upon your return, so you'll be able to put your feet up, before you catch up with your friends to regale them with your holiday tales! 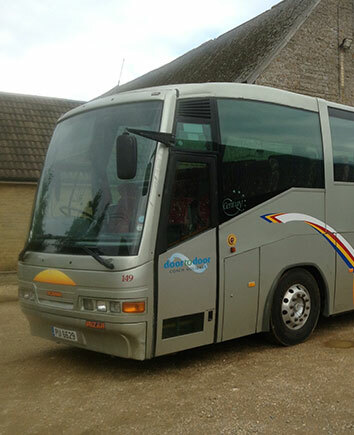 Our airport transfer rates are some of the most competitive in Northamptonshire and all our vehicles are regularly cleaned, serviced and maintained, ensuring a smooth, safe journey every time. We also offer a transfer service covering all UK rail stations and ferry ports, so whether you're travelling by land, air or sea, you can count on us! To book your journey, get in touch with Hayletts Private Hire today!